The Superyacht Show, making its inaugural debut, created and organized by the Large Yacht Brokers Association (LYBRA) will welcome distinguished yacht buyers and charterers to a new, exclusive yachting event at OneOcean Port Vell marina in Barcelona, Spain. The seasoned superyacht brokers of Merle Wood & Associates will be present at the show to guide their most distinguished clientele through the spectacular showcase of luxury yachts for sale and charter. Our expert team is ready to guide or new clients through the yachting lifestyle, and to acquaint current clients with new opportunities. Visit us at our display at The Superyacht Show, or contact our office for an appointment. With a focus on attendees, The Superyacht Show will steer away from the typical B2B format of larger boat shows, in pursuit of creating a truly exclusive experience for all clients who attend. With a selection of the highest quality superyachts from around the globe, brought in by the most prestigious large-yacht brokers in the world, the showcase promises the best in luxury yachting. High-end sponsors, including the world’s top luxury brands, will also be on hand to attract the most discerning clientele to rendezvous in a relaxed and elegant space. The collective fleet of superyachts that LYBRA members represent for sale and charter is hugely significant…over time, we therefore plan to develop the show into the definitive, pre-summer buying opportunity in the Mediterranean. 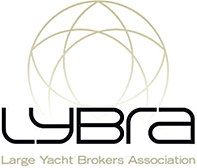 The LYBRA members have both the ability and desire to bring together a world-class display. Our members’ long-term vision is not simply to create another superyacht show; their vision is to create THE Superyacht Show. Held in the privacy and intimacy of OneOcean Port Vell marina, the idea is to create an experience for clients, contrary to putting on a display for them, which is the traditional boat show concept. The marina in itself is a superyacht wonderland, complete with a high-end restaurant, as well as a spa and gymnasium. The Superyacht Show is centrally located within the energetic city of Barcelona. Visitors will be surrounded by a metropolis noted for its picturesque architecture, delightful cuisine, stunning beaches, exciting nightlife, and warm people. Guests may take the occasion to stroll through luxury retail shops, while exploring the streets filled with Catalan culture, or discover the striking Gothic Quarter, and will be entrenched in a town that evokes old-world charm within quaint surroundings. Merle Wood & Associates will be representing luxury yachts built by some of the most leading shipyards in the world. The remarkable OKTO yacht by ISA Yachts will be among the refined selection of vessels for clients to explore. Designed by the late Alberto Pinto, the 218’ (66m) superyacht is a striking representation of the yard’s capabilities. Her modern, Deco interior is complemented by a low profile, sleek lines, and her notable plumb bow. She is highly recognizable by specialized features such as her infinity pool at the stern, her vast exterior decks, and smart, black-and-white themed décor. Distinguished vessels constructed by other luxury yacht builders that will be for sale or charter at The Superyacht Show include those by Feadship Yachts, Lurssen Yachts, Benetti Yachts and many others. Each shipyard represents the unique quality, design and engineering that emerges from their country of origin, and each yacht is an expression of unencumbered luxury. These immaculately maintained vessels offered for sale or charter will delight visitors with their bespoke styling, while our expert brokers will lead them through every detail, and be on hand to answer any questions. Contact Merle Wood & Associates to arrange viewings. Located about 10 miles from the city center of Barcelona, El Prat, the Barcelona Airport is easily accessible via other international hubs, and regional airports such as Girona, Reus, and Lleida–Alguaire. The airport is located 10 miles south of the city center, and terminals are organized by air carrier. Located opposite the corporate aviation apron that has the capacity for 42 spaces, The Corporate Aviation Terminal is 7 minutes from the terminal parking lot to the aircraft. Passport control and security are located in the same terminal, along with a VIP Lounge. The heliport is located by the water, close to the show, and is approximately 5 minutes by tender. From the airport to OneOcean Port Vell, travel time is estimated at about 25 minutes. The city of Barcelona is equipped with many parking lots, however it is worth noting that traffic can be heavy during rush hour, especially at and around the city’s main entry points. *Yachts available at The Superyacht Show may change without notice. Interested In The Superyacht Show? For access to yachts for sale and charter, or more information about The Superyacht Show, simply contact a qualified yacht broker at Merle Wood & Associates. They have access to yachts for sale and will help you narrow your search and guide you through the entire buying process.